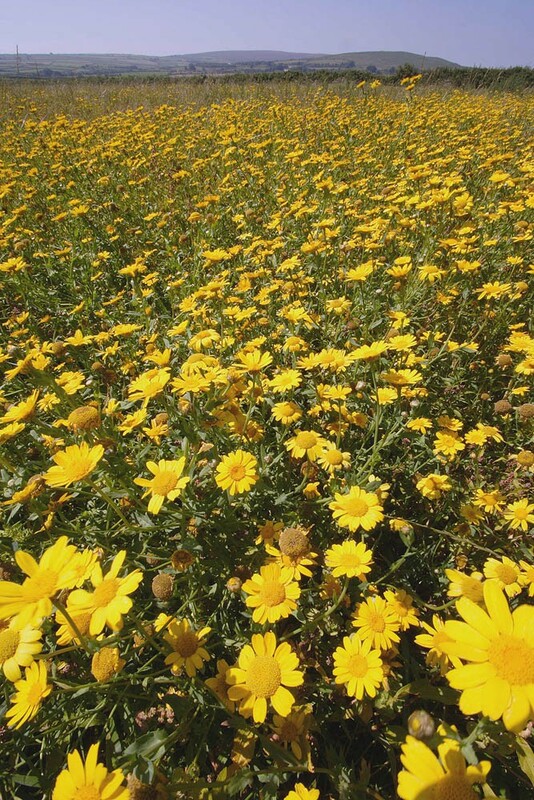 This short to medium height annual is unmistakeable in flower (June to October) with its large bright yellow daisy-like compound flower head. The leaves are slightly fleshy, lobed, hairless and covered with a waxy layer that gives them a greenish blue colour. NB Until recently this species was know by the old botanical name of Chrysanthemum segetum. Some modern publications including Sell and Murrell list it as Xantophthalmum segetum. Corn marigold was probably introduced into Britain with the introduction of agriculture and has certainly been here since the Iron Age. It can be grown on a range of soils but has a distinct preference for light and moderately acid soils. 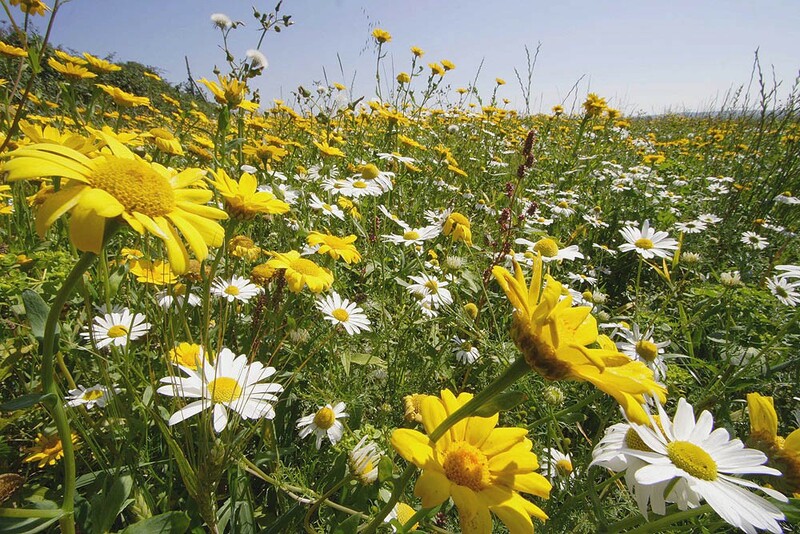 Most often found as an arable weed it can also be found on other disturbed sites such as rubbish tips, road verges, waste ground and even over-grazed pasture. Once a serious agricultural weed, it is now much reduced due to a combination of better seed cleaning, herbicides, liming and a switch to autumn sown crops. Corn marigold grows readily from seed sown onto preferably, but not necessarily, light, lime free soils. Seed can be sown at any time from late summer to mid April but the best results are usually obtained from an early spring sow. Corn marigold is found in both our EC1 and EC2 cornfield annual mixtures.